Life is full of aches and pains, and shoulder pain afflicts most people at some point in their lives. Shoulder pain is short lived while other forms of pain can be ongoing and will need long-term pain management. We’ve broken down types, causes of and how to relieve shoulder pain. As always, consult your doctor with and questions. The shoulder joint is the most complex joint in the human body. Your shoulder has two joints making it the most flexible joint in your body. The main shoulder joint is a ball and socket joint so named because the top of the humerus – the upper arm bone- is shaped like a ball. This ball fits into the shoulder blade bone-the socket-giving your shoulder a wide range of movement, and it’s all held together and controlled by a layer of muscles, which are secured to the bones by tendons. These muscles and tendons form a capsule around the joint and support its movements, but this can make it more likely to dislocate than other joints in the body. Because there are so many muscles, nerves, veins that support complex movements, shoulders are susceptible to pain, making it difficult to understand how to relieve shoulder pain. Most cases are not dangerous like sprains, simple injury and contusions. There are specific kinds of pain that can be life threatening. 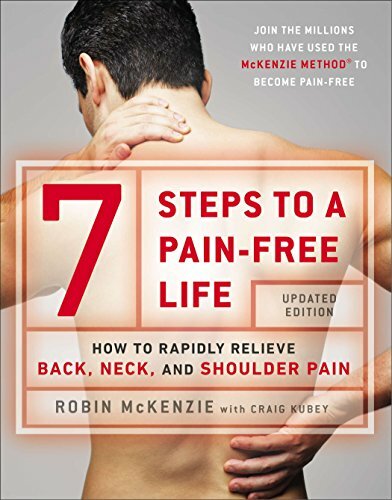 Rest is the first step in figuring out how to relieve shoulder pain. Use the injured area as little as possible. Don’t lift, extend, stretch or put pressure on your shoulder for 2-3 days. Once the pain subsides, you can begin physical therapy exercises. For the first week after the injury occurs, apply ice to the area. Put the ice in a place in a plastic bag, wrap the bag in a towel and apply to the injured area for 15-20 minutes once per hour. You can also use a bag of frozen peas. Never place ice directly to the skin as it can cause damage. After the first week of the injury you can apply heat to the affected area for relief. Applying heat during the first week can increase the swelling of the injured area and increase shoulder pain. Use a heating pad on the painful area for up to 20 minutes per hour. Elevating the affected area above your heart will help the swelling go down, therefore, reducing your shoulder pain. Use pillows to prop yourself up. Try sleeping with your shoulder elevated as much as possible. Non-steroidal anti-inflammatory drugs like ibuprofen (Advil, Motrin) can help reduce swelling and pain. If you’re sensitive to ibuprofen try acetaminophen (Tylenol) for pain control. A pharmacist can give you advice on how to relieve shoulder pain. Don’t use pain relievers for over two weeks without consulting your doctor. If after 2-3 days of rest, ice and pain medication you experience relief you can give pain-relieving shoulder exercised a try. 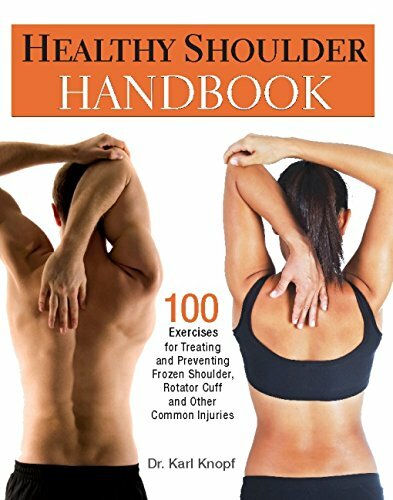 We’ve found the best exercises for how to relieve shoulder pain to give you even further relief. Repeat all exercised 3-5 times. If any of these exercises cause a lot of pain, don’t continue. Hold your right hand out in front of you near your waist. Reach your left hand behind your elbow, pulling your right arm to the left across your chest. If this causes pain, lower your arm until you feel relief. The goal is to pull your right arm across your chest with no shoulder pain. Hold this position for 30 to 60 seconds, relax and repeat with your left arm. Sitting up straight, slowly bring your chin to your chest until your feel the stretch in the back of your neck. Try tilting your head to the left, stretching your right shoulder and leaning your head to the right to stretch your left shoulder. Hold these stretches for up to one minute, breathe deeply as you relax. Use an exercise band, rope, strap or even a tie for this stretch. Place band behind your back and hold it with both hands. Draw your shoulder blades toward each other and gently lift your chin toward the ceiling. Breathe deeply and hold for 10 to 15 seconds and relax. Sit straight up in a chair with your knees together. Twist your torso to the right, placing your left hand on the outside corner of your right leg. Relax your shoulders as you look towards your right, gently pushing on your right thigh. Breathe deeply for 10 to 15 seconds and relax. Repeat with your left side. Stand in a doorway, holding your arms up so your elbow is at a 90-degree angle, so your arm forms a 90-degree angle to your body at the shoulder. Place each hand on one the sides of the door frame, placing one foot forward as you stand up straight aligning your neck with your spine. Lean forward as you brace yourself with the door frame. Hold this stretch for 20-30 seconds. When figuring out how to relieve shoulder pain, some solutions may require hospitalization, physical therapy or other types of rehabilitation. In these cases, the extent of recovery may be complete or limited. In persistent shoulder pain cases, you and your doctor will devise a treatment plan to learn how to adapt and deal with any limitation. The good news is that because many shoulder pains are caused by sprains and strains; most people can expect a full recovery or to recover with minor limitations on certain activities.